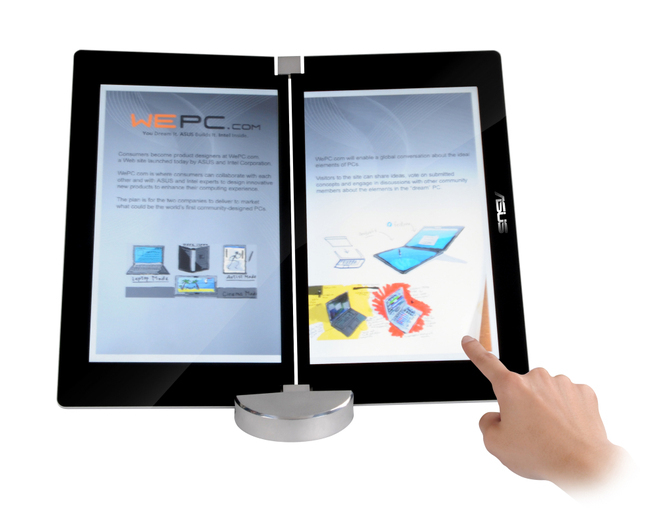 Asus have released details of their new concept dual screen PC at CeBit. It can be used as an ebook reader, laptop or multimedia machine. With no keyboard present, either screen can be for display, keyboard and a trackpad eliminating the use for extra hardware. It should also be able to detect hand gestures, handwriting recognition and multi-touch. In Multimedia mode, the screen could be used as a widescreen monitor to watch your favorite films. Even though it is a concept it was running at CeBit on Windows 7.